Hyderabad, the beautiful city to reside! Hyderabad, the " City of Pearls" is a rapidly growing urban city of India. The capital of Andhra Telangana, Hyderabad is a city immersed in culture and tradition. The influence of Mughlai culture is seen in its buildings (Charminar) and cuisines (Hyderabadi biryani and Hyderabadi haleem). The rapid industrialisation of the city has attracted major manufacturing, research and financial centres here. 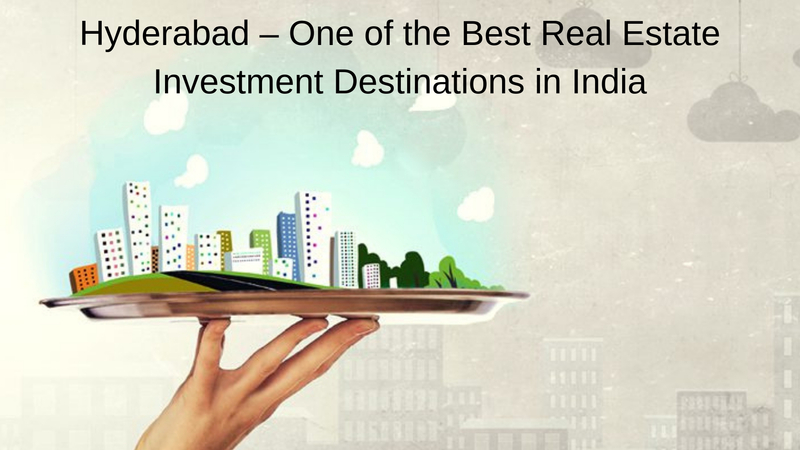 Hyderabad is constantly growing and emerging into a major information technology centre of India. The exposure of pharmaceutical and biotechnology industries here has named the city as " Genome Valley" The development in various above-mentioned sectors has propelled the residential demand in the city. 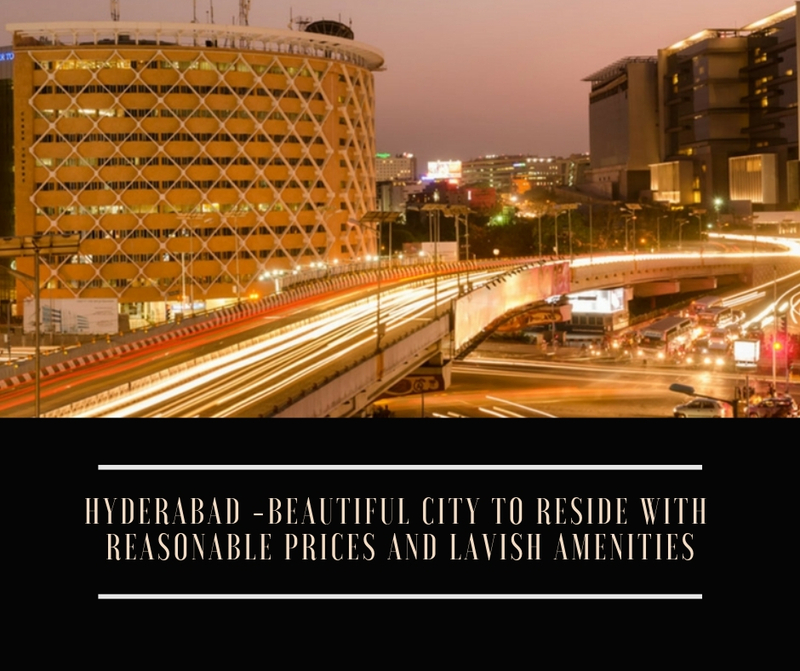 Hyderabad, therefore, remains among the best cities in India for providing premier quality of living experiences to citizens with its entertainment zones, up-class malls and multiplexes and well-developed public transport lines. 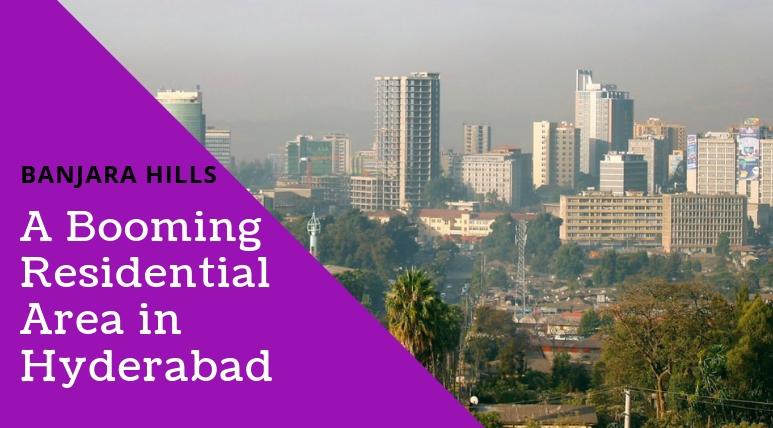 What makes Banjara Hills one of the astounding places to live in Hyderabad? This locality is particularly famous for offering a posh lifestyle to people in posh residential complexes built across the locality. Several real estate developers come up with housing projects here every now and then to cater to the needs of customers. One will find luxurious apartments, top-notch villas and budget apartments here. Home buyers who are in search of integrated townships can own property of their choice here. Townships here provide world-class facilities and amenities including clubhouse, multipurpose hall, swimming pool, gym, play area, security features and more. There is no dearth of everyday facilities like hospitals, colleges, schools, hotels, upscale restaurants, large shopping malls and entertainment avenues from the property area. Banjara Hills enjoys good connectivity to the rest of the city through a great transport network. TSRTC connects this posh locality to significant parts of Hyderabad like Dilsukhnagar, Ghatkesar, Koti and Khairtabad. The nearest MMTS train station to this area is Khairtabad. Developed by Brigade Group, Brigade At No 7 is a standout amongst the most beautiful high rises in Hyderabad. The residential township offers 4 BHK and 5 BHK apartments of different configurations ranging from 3350 sq.ft. – 5180 sq.ft. and the prices of which varies between Rs 4.90 crores to Rs 7.47 crores. Spread over 3.1 acres of land, the township offers its residents with various luxuries like clubhouse, meditation centre, indoor games, kid’s play area, swimming pool, gym, landscaped garden, open space, intercom, 24 hour water supply, car parking, multipurpose hall, paved compound, lift, nursery school and many more. The locality also has a very good transportation network. All the important commercial and entertainment places are closely located from the complex. The Hyderabad International Airport is just 31 km from the property. Brigade Group is one of the leading real estate developers in India. The group was established in the year 1995 and since then the real estate giants have been developing projects mainly in South India. The group is headquartered in Bangalore and has branch offices in different South Indian cities and a representative office in Dubai. The group mainly focuses on services like property development, property management, hospitality and education. Since its inception, the real estate giants have developed many beautiful projects in cities like Chennai, Hyderabad, Mangalore Kochi, Mysore and Chikmagalur. The group was honoured with India’s Best Companies to Work for 2014 award and was recognized as one of Bangalore’s Hot 50 Brand’s at the Bangalore Brand Summit 2014 award ceremony. With its assurance to give the best service to the clients, the group is on the path to continue leading the real estate industry in India.